You can change detailed parameters of a partition with this feature. 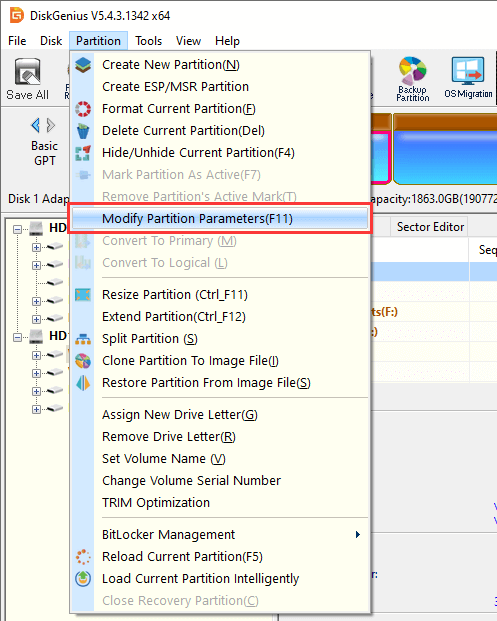 Step 1 Select the partition you want to modify its parameters and click Partition menu to choose Modify Partition Parameters. Step 2 Set partition parameters such as system identifier, beginning cylinder, ending sector, etc. based on your needs and click OK.
Changing system identifier does not change partition type or file system type. 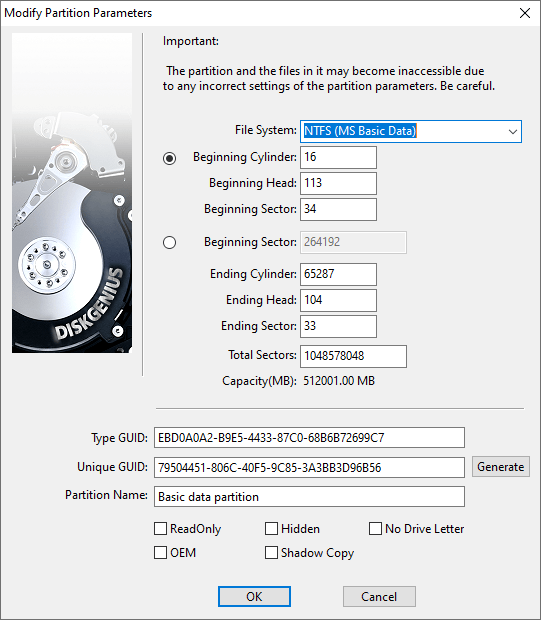 Partition size changed by this feature may damage data in partition. Incorrect settings may lead to corrupted partition.